Home | Buehrig, Gordon M.
U.S. automotive designer born in Mason City, IL who graduated from Bradley Polytechnic in Peoria, Illinois before becoming an apprentice at the Gotfredson Body Company, Detroit, in 1924. He also worked for Dietrich, Inc. starting 1926, then at Packard, and in 1927, joined Harley Earl at General Motors in the new Art & Color Section. In 1928 he worked for the Stutz Company in Indianapolis. In 1929 he became chief body designer for Auburn-Cord-Duesenberg, where he designed the classic Duesenberg Model J line of luxury cars. In 1933, he returned to General Motors. He became stylist for the Auburn Automobile Company in 1934 and designed the 810 Cord Westchester Sedan that electrified visitors to the 1935 New York Auto Show, and the 812 model that followed in 1937, which became a design classic recognized by the Museum of Modern Art. Its innovations included a front wheel drive, retractable headlights, a rear hinged hood, absence of running boards, and no visible radiator. In 1936 he joined the Edward G. Budd Company as chief designer for prototypes until 1938. For ten years thereafter he worked as a freelance designer, including a stint in 1944 when he headed Raymond Loewy’s Studebaker design group in South Bend, then working on the 1947 Studebaker. 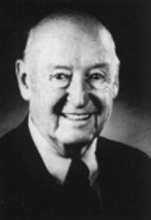 Buehrig joined Ford as head of the body development studio in 1949, and worked on the 1951 Victoria Coupe, the 1952 Ranchwagon, and the 1956 Continental Mark II, for which he was chief body designer from 1952 to 1957. Retiring from Ford in 1965, he taught for five years at the Art Center College of Design in Pasadena, and in 1979, designed the Buehrig Motor car, a limited-production carriage roof coupe. In 1981 he was named by the Society of Automotive Historians as one of the most significant contributors to the development of motorcars. In the decade before his death, he directed precision car models for the Franklin Mint, and in 1990, he was inducted into the Automotive Hall of Fame.